Hi after an update recently, our multimedia team can no longer add sermons. They get t the add sermon screen, punch in all the information. But when they click on Save, it takes them to the next screen with just: "You do not have the correct permissions to create sermons"
I was running a user role plugin, which enabled them to publish_posts. Had them logout and log back in, and try to add a new one again, but they got the same errors. I did notice if I give this team editor role, it will allow to add sermons. I am not sure I want to give them the roles which comes with Editor privileges. I ran into this before and if I remember correctly Sermon Browser needs the publish_pages permission to create sermons. I did a search through the forums prior to posting, and saw that suggestion. Edited, woops: I guess I didn't have that setup, just publish_posts. Ill try this again, and let you all know if that was the problem I was having all this time. Ok nevermind my last post. It looks like I overlooked the publish_pages, once I gave the custom role this permission, it now works without having them have editor access. I have this bug on my live site, WP 2.9.2, SB 0.45.3. I click "Add Sermon" then select an unlinked MP3 (existing file) from the dropdown and click "Select" I get a Permissions error. I do NOT have Role Scoper or any role/user plugin installed. This bug has come up since SB 0.45. If I add a Sermon from the files option, then things work fine. I am logged in as Administrator. I am in the same boat. 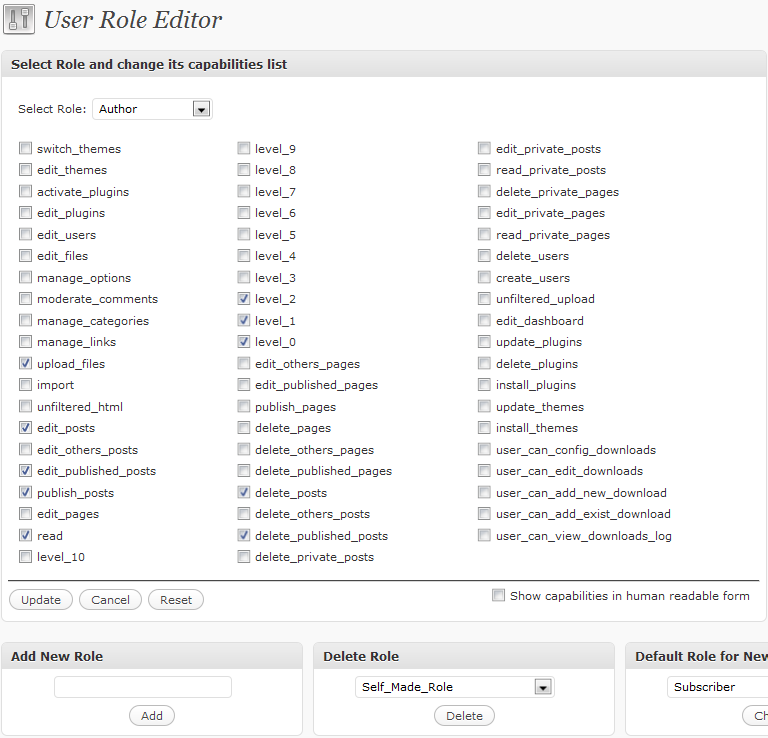 No additional role type plugins installed and I have admin rights. Error says I do not have permissions. Is there a fix I could use? I'll take a look at this bug on Monday evening. I've run into the same issue this morning. I'm also logged in as admin and not using any special user roles plugins. I tried rolling back to .45.2 so we could get this weeks sermon posted, but I'm still getting the same error. I have the same problem, i FTP my sermons to the server and then access it from the "add Sermon" choose existing file . I have found that if i dont attach the MP3 when i add a new sermon, i can create a new Sermon Entry. From there, i can edit the sermon, and attach the MP3 with out problems. Chris' solution worked for me too. Thanks for the workaround! Hopefully this gets resolved soon because I REALLY like using the ID3 tags to fill in the info. I posted this in a different thread. Hopefully Mark sees this and is able to fix it in a new release or fix.